Welcome to the Boones Mill Lions Club! After over 40 years of being organized and benefiting the Boones Mill Lions club, the Lions Club will no longer be in charge of this event. An Apple Festival committee has been formed to organize the annual event and all proceeds will go to an annual local scholarship for a Franklin County student to pursue their education at a 4 year College or University. The Boones Mill Apple Festival committee is honored to serve the community of Boones Mill in many different ways. We encourage you to help us by attending the Apple festival, donating your resources, or becoming a volunteer. 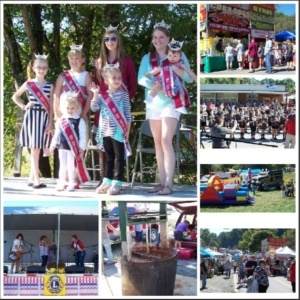 « Get Ready for the 42nd Annual Boones Mill Apple Festival!